I experienced MANY things last week that I want to share with you, but I also understand that this is a blog and not a dissertation. I will do my best to cover everything AND respect your time. Academic State Champions! 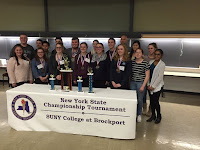 First and foremost, congratulations to our New York State champion Academic Decathlon team. I am very proud of them and you should be as well. Academic Decathlon is an extracurricular team that competes locally, statewide, and nationally. There are thousands of Academic Decathlon teams across the country. It is highly competitive. To make our team, there are tryouts like any sport, and members are expected to "practice" by reading and studying volumes of materials as well as paying close attention to their studies (the strength of our everyday curriculum takes the place of official Academic Decathlon classes that some schools need to have in order to be competitive). The advisor, Mr. Duda, selects starters for each competition. He must select three "A" students, three "B" students, and three "C" students to compete. 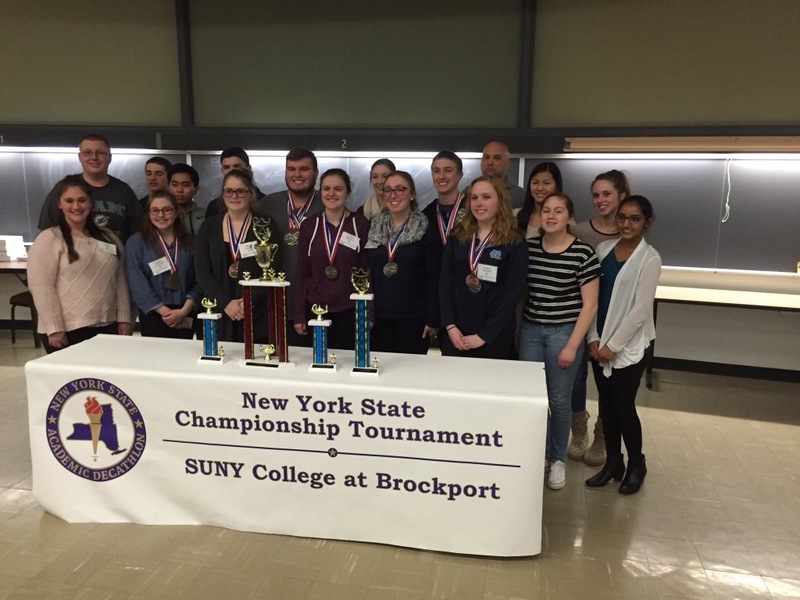 Winning locally is quite a feat; to be the best academic team in all of New York State is simply outstanding. 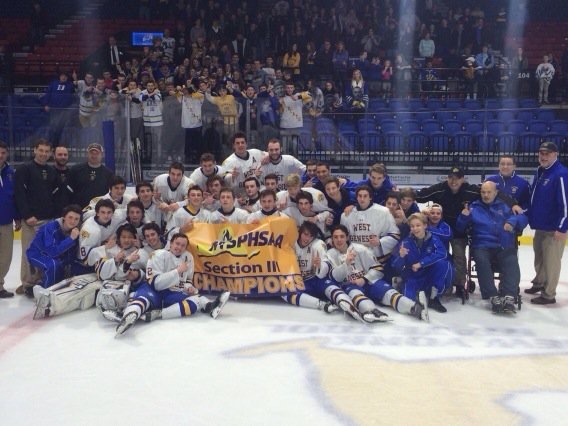 They have won the state title for the third year. The first year they competed nationally in Charlotte, North Carolina, last year they competed in Los Angeles, California, and this year they will compete for the national title in Alaska. Yes, Alaska. As an extracurricular activity (like Marching Band for example), the team must raise the money necessary to pay for travel, hotel, and food. Team members will be canvassing the community to try and raise enough money to go. Unlike Marching Band, the team does not have many alumni yet (Marching Band is celebrating its fiftieth anniversary this year, Academic Decathlon its fifth) to draw funds from. Their hope is to raise enough for this trip AND begin building for the future. We are now nationally known for fine arts, athletics, AND most importantly, academics. Congratulations to all, we are very proud of you! Plenty of positives to build on though! 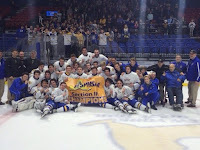 Once we are all finished for the season, our Athletic Director, Mr. Burns, will provide a great wrap up. We have had a tremendous winter season. March is "Music in Our Schools" Month: If you had a chance to see the Chorus last week as well as the art show, you know just how many students are involved in our programs. There were so many students in the finale that we could not move back far enough to grab a full picture in one frame of all the students! We have more concerts this week, including the Festival of Bands where I plan to thank Assemblyman Magnarelli for a $150,000 grant for us to replace nearly all of our musical instruments. He appreciates what the arts have done for the community, and he wants to show his continued appreciation by providing resources for students. Mini-Forum on Substance Abuse: Mark your calendar for March 29 from 7:00-8:30 p.m. in the West Genesee High School Auditorium. We will be holding the first of five mini-forums and this first forum will feature everything you need to know about substance abuse and our school. I will be leading the discussion and will show attendees our history, artifacts, current resources, and future plans. I will be very respectful of your time and if you truly want the FACTS about substance use and abuse in YOUR school, this is the event to attend. A Memorial for Baby Maddox: Lastly, I ran Creekwalk at 4:50 a.m. on Saturday morning (long story). I was the only one on the trail. It was very still and crisp. As I ran I began to hear a very unusual sound. I slowed down and looked around. 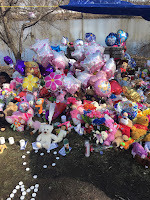 Suddenly I came upon the memorial for baby Maddox. The sound was balloons lightly scraping against each other. There were battery operated candles still lit. 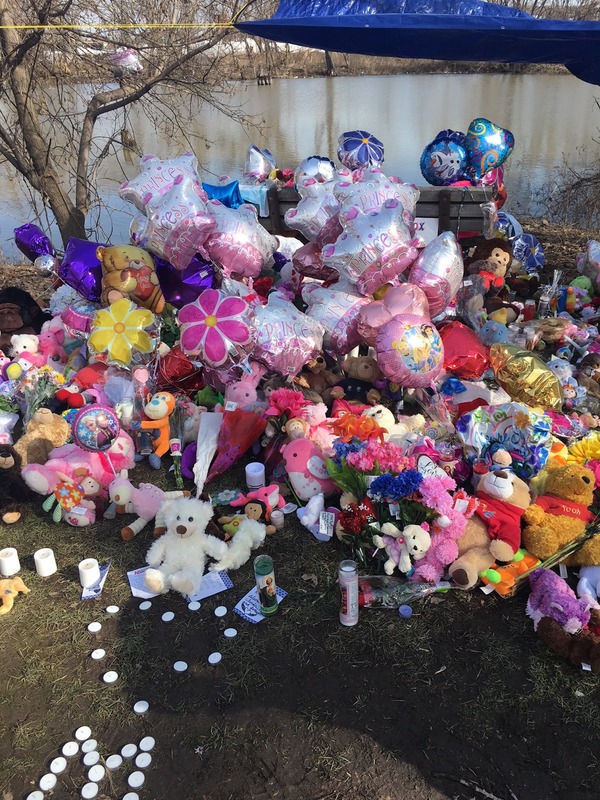 The circumstances surrounding the memorial are what they are. The bottom line is that one day a mom had her child and the next she didn't. In that quiet moment I reminded myself of a lot of things that I need to be thankful for. Later that morning I texted both boys just to check in. They had no idea what I had experienced. It didn't matter. They are still here. I am lucky and fortunate. 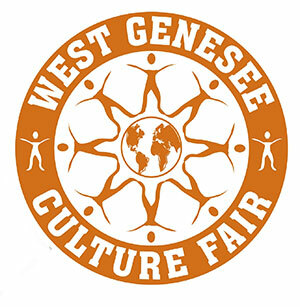 8th Annual Culture Fair: The 8th Annual Culture Fair will be held at the high school next Saturday, March 5, from 12:00 p.m. -3:00 p.m. in the upper gym. This is a fantastic family event for all ages that is free and open to the public, and is designed to help promote understanding of the various social, ethnic, and cultural influences in our very own community and beyond. I hope to see you there! Thanks for your support, enjoy the week, and see you soon. Activity Over the Break and Upon Return: If school had been in session last week, we would probably have had two snow days and a delay. Luckily, we were on winter break. So that just left a few of us adults on tricky roads in the morning and afternoon. If you were away, there was a lot of activity in our athletic programs. The Town of Camillus ran several mid-winter activities for kids, our bus drivers volunteered time and expertise to take students on a field trip, and we registered over 100 kindergarten students who will be...the Class of 2029! As we return from break and look forward to the next few weeks, we will be fine tuning the budget, finalizing master schedules for our buildings for next year, and talking with students about graduation plans. Next Steps with Community Coalition: I will be working with our community coalition on substance abuse to plan our next mini-sessions in the areas of "School Involvement", "Treatment Options", "Prevention", "Support Groups", and "NARCAN Training". As this is a community coalition, many of the mini-sessions (about an hour in length) will be held at various locations around the community and not just at the school. Many more details will follow as we look forward to continuing the conversation. Capital Project Update: The high school portion of our building project was approved a year earlier than expected. This is good news and hectic news at the same time. Over spring break much of the preparation necessary to work on West Genesee High, West Genesee Middle, Onondaga Road Elementary, East Hill Elementary, and Split Rock Elementary Schools will take place. We expect ALL construction work to be completed by the end of October. In the meantime, there may be slight parking lot inconveniences, building usage changes, and more construction activity than we are used to. Also, the BOCES summer school program will be moving to Camillus Middle School and some of the summer parks and recreation department activities will be temporarily relocated (schedule and locations to be determined). Our swimming pool availability will also be disrupted in late spring, summer, and early fall. As with any construction project, what will look at times like organized chaos will end up being a great finished product; and we thank you in advance for your patience! Positive District Data: In looking over data for our District, I continue to be very proud that of all the schools in our area, we spend the greatest percent of our budget on instruction, our tax rate is the lowest, and as our demographics and community wealth have changed, our overall results have improved. Good stuff; and we are all a part of that success. 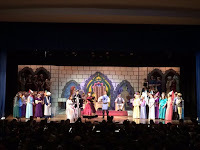 The Musical at the High School is a Success: Congratulations to the cast, crew and everyone involved with the high school musical, Once Upon a Mattress. The sets, coordination, direction, and acting were exceptional. The musical had many funny parts, and it was great to see student actors and actresses able to deliver a punchline. Kudos! A Busy Week: We were busy last week. Wrestlers, divers, cheerleaders, basketball players, and Stonehedge's Winter Wonderland kept the buildings hopping after hours and over the weekend. 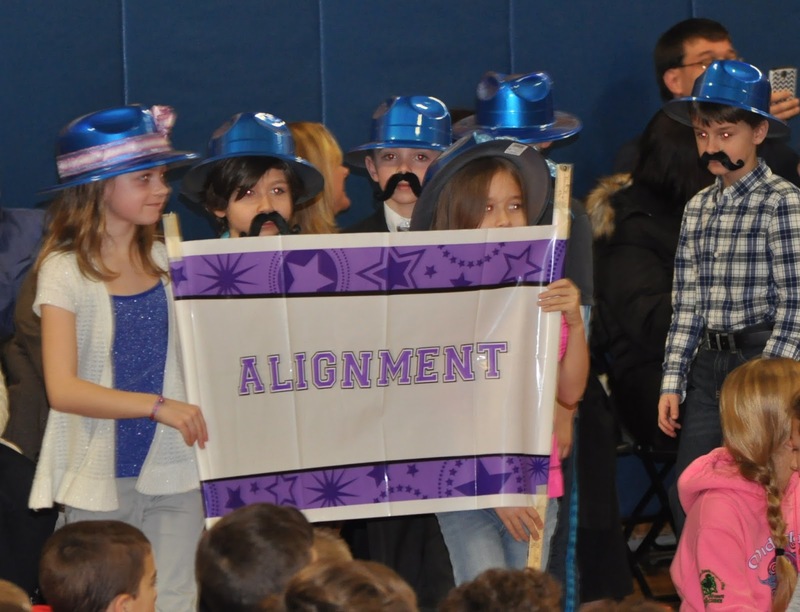 During the day there was a great "Vocabulary Parade" at East Hill Elementary School, and we held our tremendously important District Strategic Planning as well. 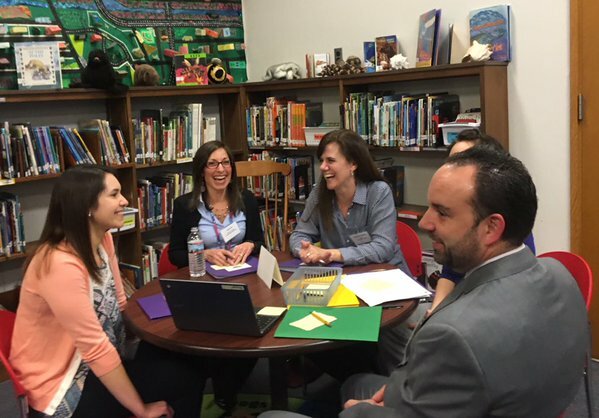 Planning Strategically for the Future: The Strategic Planning team consists of students, parents, teachers, assistants, administrators, and Board of Education members. Collectively, and with feedback from the community and expert panelists, they develop the strategic vision for next school year. Once all of the information has been updated, the new plan will be linked to our website and made available to everyone. Most of the plan from last year (you can find the current plan by clicking here) will remain intact. The group did decide this year to make a conscious effort to revamp how our guidance counseling services are delivered to children. With our changing demographic, increases in abuse and mental illness in our community, and increased diversity, it is time to make a significant change to separate our true guidance counselors from our socio-emotional counseling so that everyone is served in an equitable manner. We will be working this spring to update our K-12 counseling plan to reflect the wishes of the Strategic Planning Committee. I would like to thank all of the participants, specifically the students and a panel of 2007-2015 graduates who helped us to understand what we have done well, and where we could improve from the perspective of a graduate. 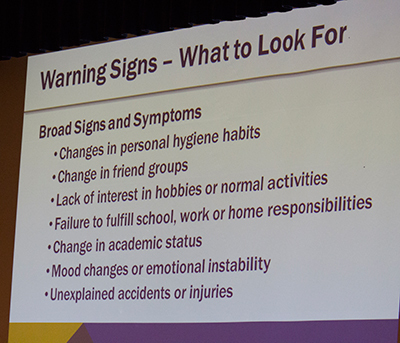 Substance Abuse Coalition Next Steps: This week the Community Coalition on Substance Abuse will be meeting to review the survey data from our recent forum and establish a clear direction as to what next steps will be. We have heard from many surrounding schools who want to use our forum format in their respective communities. We have been more than willing to share material with the understanding that raising awareness to an issue does not fix the issue. We will be targeting how we can reduce the amount of substance abuse and crime in our community. We will also use our collective strength to pressure lead decision makers on the treatment end. We WILL make a difference. A Math Project: I was a math and computer science teacher before entering administration and eventually the superintendent position. I really enjoyed my time with my seventh graders, especially when it came to teaching real life lessons about math (to answer the question "when are we ever going to use this"). My teaching days were long ago, but the lessons live on and I am very proud of that. Yesterday while walking the dog I found a bird's nest that looked to be a near perfect circle. I immediately thought about the "old days". I brought it inside and took a picture of it. I then found some string and measured the diameter (distance from side to side as long as you are going through the center). 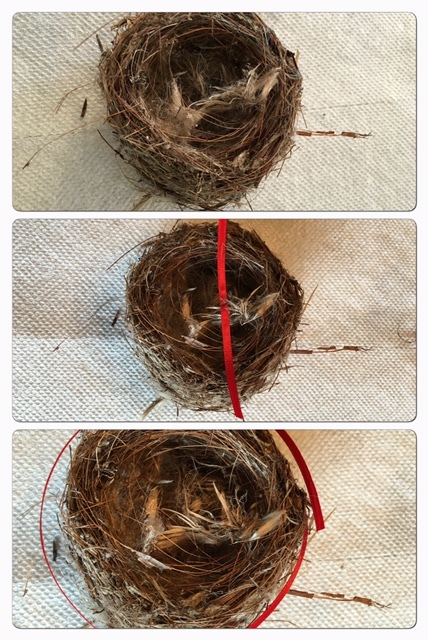 I made three strings of equal length out of the diameter and laid them end to end around the birds nest. BINGO, they wrapped around three "and then some" times, or 3.14 times; pi. Big deal right? In the education profession, there are no bonuses, no parties for selling the most of something, and no commissions. We teach, lead, and educate for the betterment of children and hopefully the world we live in. Our reward is when we hear from graduates who tell us that we made a difference in their lives. I posted this little exercise online and heard back from one of my former students who is now a teacher. She remembered the lesson from so long ago and used it with her sixth grade classes. She then moved to second grade but made sure to leave the lesson behind for the new sixth grade teacher because "it is the best way to teach pi". Good stuff! 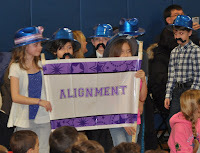 Events From Last Week: We had some great events last week. 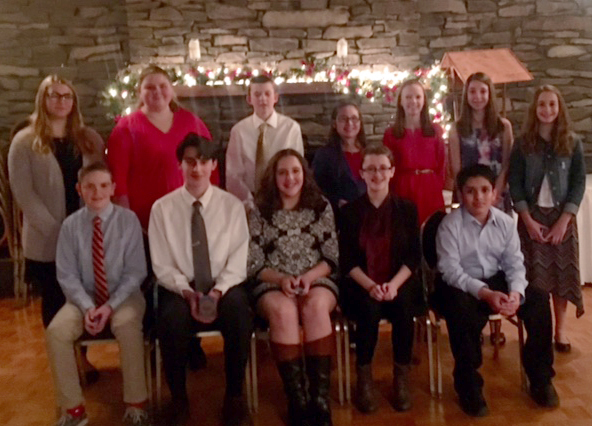 First, and unfortunately in the same evening, we had the "Dialogue with the Superintendent" and the Camillus Optimists Oratorical Contest. Both events were fantastic. I had a chance to catch the speeches from the middle school students and they spoke as well and as passionately as anyone you would see on television. The future is in good hands. In my Dialogue with the Superintendent forum people in attendance were invited to write any question they wanted answered on an index card and pass them forward. I took each card and read them sight unseen and answered them. 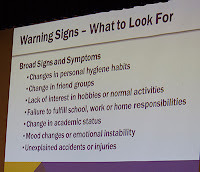 Many were about our substance abuse forum (which I covered in a previous blog) and several were about mid-term/regents week at the high school as well as the use of Schooltool. We constantly trend to get better so feedback of any kind is much appreciated. 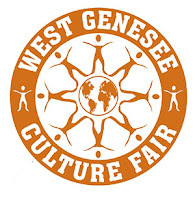 Thank you to the West Genesee PTA/PTO District Council for sponsoring this event every year. Mr. Morton, our high school executive principal, recently started a blog himself that you should check out if you have a high school student or a child about to enter high school. He addresses in detail some of the questions we receive about the high school. Please take a few moments (after you finish here of course!) to check it out at http://wghsexecprincipal.blogspot.com/2016/01/feedback-on-mid-term-exams-and-use-of.html. This week we will be holding our strategic planning sessions. Our strategic plan is the main decision making driver for the District. Our strategic planning team includes stakeholders from every group you could imagine (including parents and students). The results will be shared later in February so you know what you can expect to see from the District next year. People always ask why I never look rattled, and I always point to having a solid strategic plan as one of those reasons! Some great weather coming up. Cannot wait! Thanks for the continued support.